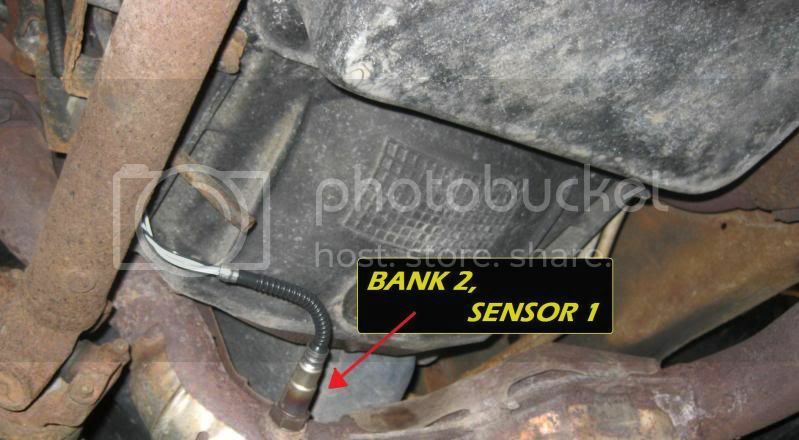 97 Explorer Oxygen Sensor Replacement---HOW TO?? Discussion in 'Modified 1995-2001 Explorers' started by drichardson, June 21, 2011.
hey guys. i just took my explorer in because of a check engine light and they said i need to replace 4 O2 sensors and said it would cost me $150 each to replace. I can't pay this and wanna try to replace them myself, anyone know where i can find a guide to replace them????? Go back to step one and have the codes re read. Some parts stores like autozone will read codes free of charge. Don't let them sell you anything though. Just write the codes down as they are displayed. they will be displayed as a P followed by 4 digits. It is important to get all of them written down. Once you do this post them up here and we'll help figger it all out with you. I am almost certain the price quote you were given was a generic estimate, as all 4 sensors rarely fail at once-in fact 02 sensors rarely "fail" , rather they are doing their job well by reporting a condition which will lead you to the proper repair. I have the check engine light on and mine is throwing four codes, some for the catalyst and some that say it's running too lean. The guy said that all four of those codes could be because of a bad catalytic....I can't afford one or two right now so I'm just going to let it go for now as well as get my codes read at another store just to make sure the codes are the same. the codes are: P0135, P0144, P0155. 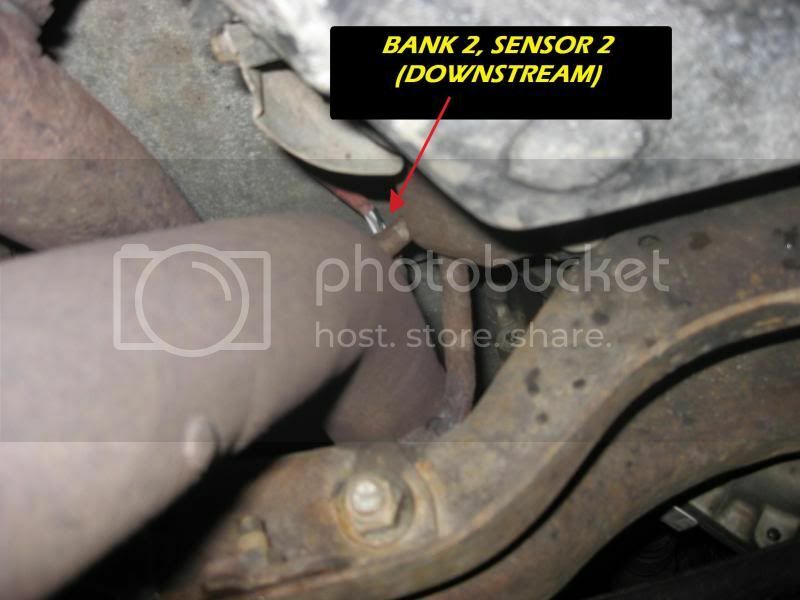 I bet the 02 sensor harness got into the exhaust and is the cause for all of the issues. I doubt you need 4 new sensors. They all run off the same power circuit. 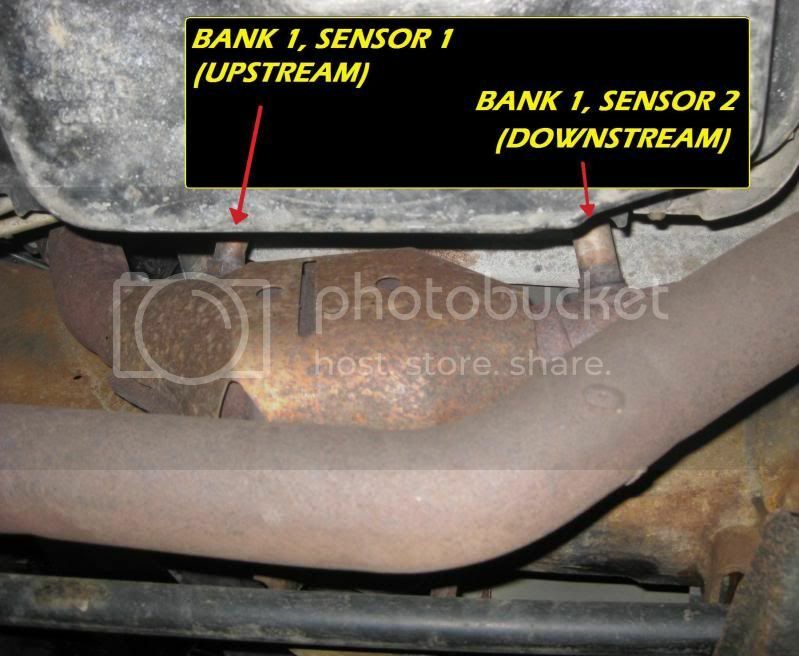 There are several places to look, along the exhaust on passenger side-sometimes the bank 2 - 02 sensor wire will rub on the front drive shaft and or the exhaust down tube -and the egr sensor area also has some connections which might be exposed to heat. Disconnect the battery, and start digging into the wiring. You will probably be able to fix and shorted wires by a splice and shrink tube repair. Then take a look at the spark wires, Orielly has them for around 90.00 or so for a good set of motorcraft wires. okay thanks for the advice. also, if i do need to replace the sensors, is this a repair that is very difficult? Where can i find a guide to help me on replacing them? I agree with turdle. I have only once in my life seen all four 02 sensors throw codes. And that was because there was damage to the wires and the main fuse for the sensors was blown. okay that sounds like a good place to start. also where do the O2 sensor wires lead to?? i tried to see where they are located under the hood but had no luck. Here's the O2 sensor wiring for my 2000 Sport. It may help you sort things out. You have to climb up under the hood and look behind the engine on top of trans area for the connectors. Removing the tires & wheel well liners will make it easier to reach them from the sides of the vehicle. If your spry enough to reach them from under the vehicle, that is the easiest route. Tight spaces tho! Drivers side connectors are on the trans harness, and the pass side is on the engine harness but both lead to the top of the trans behind the engine. Plan on getting frustrated, and take mental breaks, as this is not complicated, just hard to reach the connectors. Oh...The connectors are the pinch and pull style, with only one push tab. there is an access panel under the center console which you can remove for easier access to the plugs. Snap! I forgot about that location! when the console is removed, does it allow to to access the front two O2 sensors as well or just the rear two? i was taking a look and it appeared that the front 2 sensor wires led up right behind the engine, the part where you unclip them is way up there. looks pretty impossible to access if i need to replace them. it doesn't look like it will be much easier to get to if the console is removed, but i could be and hope that i am wrong. THis is the one BTW which can get into the exhaust and drive shaft-the sensor itself is right under the bell housing. thanks for the pics. i dont have trouble getting to the sensors themselves, just the clips on the two front sensors. I can see where the plugs are but they're just too high and tight to get to from underneath the truck and I can't find them/get to them from the hood. any techniques or ways to get to the clips to unclip them?? LIke I said, remove the console. It is a lot easier thn it sounds. -look in the console removal thread I posted and you will see I stated this is the only way I can get to them. Others may have an idea but for me it was too tight for my arm from underneath.